Whether one is a believer or not, the Bible provides many clues about the future of us all. 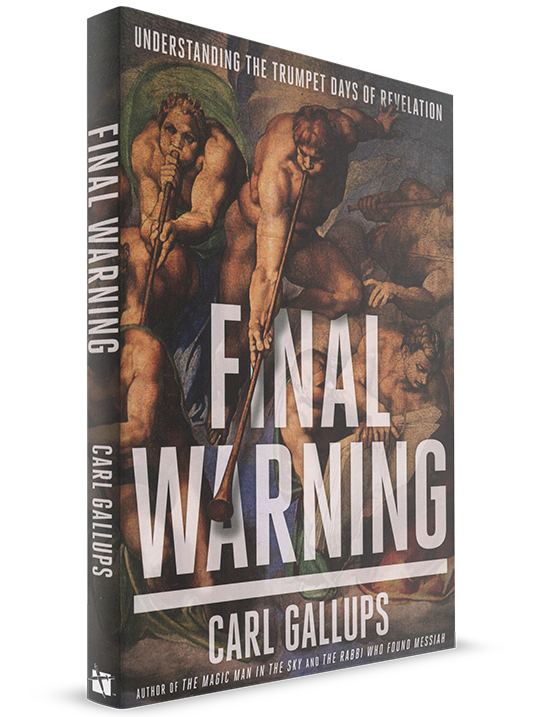 In Final Warning beloved pastor and best-selling author Carl Gallups explores the stunning visions of the Apostle John as found in the seven trumpets of Revelation and overlays them on major events in the 20th and 21st centuries. How do the two world wars line up with John the Revelator’s visions? Could it really be that the Chernobyl meltdown was foretold in the Bible almost two thousand years before it happened? Does the rebirth of Israel indicate the Last Days are upon us? Was the same Apollyon mentioned in “trumpet five” responsible for the darkening of the sky during the Gulf War? Is the United States mentioned in biblical prophecy?